Despite their hopes for smooth sailing, the ladies of Ten Beach Road confront choppy seas in this novel in the bestselling series. 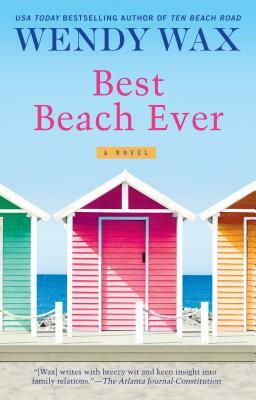 Wendy Wax, a former broadcaster, is the author of numerous novels, including Sunshine Beach, A Week at the Lake, While We Were Watching Downton Abbey, The House on Mermaid Point, Ocean Beach, and Ten Beach Road. The mother of two grown sons, she lives in the Atlanta suburbs with her husband and is doing her best to adjust to the quiet of her recently emptied nest. One of PureWow's "Best Beach Reads of Summer 2018"
A May 2018 Okra Pick!